Your young and you have no dental needs. Not so fast. 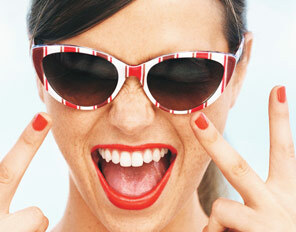 Good oral hygiene is important towards maintaining your overall health. It is generally appreciated within the dental and medical community that poor oral health can be linked to heart and lung disease, diabetes, stroke, extremely high-birth weight, and premature births. The presence of oral problems is usually the first warning sign of some of these general health issues. This consensus among the various healthcare providers has risen to level that the U.S. Surgeon General has issued policy statements on oral health as a strong indicator of overall health and well-being (CDC, 2006). Brushing and flossing have risen in importance as your key ‘between visits’ maintenance tools. In addition, the use of the proper products for home care, such as an electric toothbrush, ADA approved toothpastes and washes are equally important. Without consistent care, several general as well as oral health problems may result or be exacerbated. For all ages, if your water is not fluoridated or the majority of your water consumption is through bottled water you should consult with your dental care provider about using supplemental fluoride. 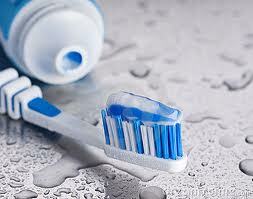 In areas without fluoride in the water the rate of tooth decay and other health issues is much higher. While practicing good oral hygiene is vital to your health, there is only so much that brushing and flossing can do. Your average patient can easily overlook conditions that could greatly complicate or even end one’s life. So, visiting your dentist for regular checkups is a vital part of your overall health care. “Routine dental exams uncover problems that can be easily treated in the early stages, when damage is minimal” (American Dental Association [ADA], 2008). Since gum disease is acknowledged as a major risk factor for heart disease, stroke, and certain forms of cancer, regular visits to your dentist can help prevent and treat these potential diseases. By treating conditions early and learning from your dentist how to prevent oral health issues, you can achieve better overall health and ultimately better the quality of your life. Your dental care is so important to your general health care; you need to make sure you find a dentist that is right for you and your family. This can be a difficult process. Look for someone who’s competent and you feel comfortable with, one you can have a collaborative relationship with. This is important because there are conditions and problems that were not discussed in this article that the dentist will need to pay attention to during your regular checkups. Hopefully after reading this article, you will have a heightened understanding of the basic need for good oral health. If you have additional questions or concerns feel free to contact us. Dr. Scheinfeld is an Emory University School of Dentistry trained prosthodontist treating patients in the Sandy Springs, East Cobb, Dunwoody, Roswell, Johns Creek, Alpharetta, Vinings and Buckhead areas of Metro Atlanta. Of the 170,000 dentists in the U.S., less than 2% are prosthodontist. She practices with her two daughters who graduated from Dental College of Georgia. Dentist Chamblee: How Do You Find a Good Dentist? That’s really a tough question. And for our practice (in Chamblee, GA) it’s even more difficult because we don’t advertise using conventional methods. Ninety-five (95%) percent or more of our patients are referral based, either from an existing patient or another referring dentist. Whichever dentist you choose in your locality, always make sure that he/she is a certified member of the American Dental Association (ADA) and the Georgia Dental Association. When you are comfortable with your referral, compare the services, charges, dental insurance formalities, and other determining factors, before choosing a suitable one. After you find all the above conditions satisfactory, simply call for a consultation. Or you can make an appointment with us – 404-256-3620. More and more dentists are calling themselves ‘cosmetic dentists’ when there is no cosmetic specialty in dentistry. Regardless of this claim, the fact remains that the majority of dentist are general dentist who press the envelope of ethics by calling themselves ‘cosmetic dentists’. They all have undergraduate degrees and at least four years of dental school. But not one of them has an American Dental Association sanctioned ‘cosmetic specialty’ in dentistry. Those dentists who choose to make the claim do so by self-proclamation. The American Dental Association (ADA) recognizes nine (9) post dental degree specialties and cosmetic dentistry is not one of them. These specialties range in one to six years of advanced training beyond dental school. At the end of this post doctorate training, these dentists receive additional certifications in their respective specialties becoming experts within their fields of dentistry. Prosthodontics: (crown, bridge, and implants) According to Forbes Magazine, a prosthodontist is the rarest dental specialty in the country. The rigorous program creates a dental specialty license pertaining to the diagnosis, treatment planning, rehabilitation and maintenance of the oral function, comfort, appearance and health of patients with clinical conditions associated with missing or deficient teeth and/or oral and maxillofacial tissues using biocompatible substitutes. That’s a mouth full, pun intended. Most dentists they take short weekend continuing education courses and utilize trial and error experience to be able to understand how size, shape, color and symmetry all work together to create what a prosthodontist is trained in their post graduate work. The prosthodontist is trained at an ADA approved university to create the smile that implements the use of veneers, crowns, bridges and the new standard of care dental implants to ensure that the right smile is achieved, both functionally and aesthetically. If anyone has a specialty in cosmetic dentistry or the right to call themselves a ‘cosmetic dentist’, it would be the ADA approved prosthodontist. Of the 170 thousand dentists in the U.S., less than two (2%) percent are trained prosthodontists. So when you are seriously looking for a cosmetic dentist, look for a prosthodontist. Dr. Scheinfeld received her prosthodontics degree from Emory University School of Dentistry in 1988. Her prosthodontics’ instructor, Dr. E. Neal Kopp practiced with her for 14 years until his passing in 2008. In addition, Dr. Scheinfeld practices with her two daughters who are trained implantologists.